Maybe it’s because there’s a quasi-religious spiritual energy at the heart of the mythos, but people tend to be very serious about Star Wars. 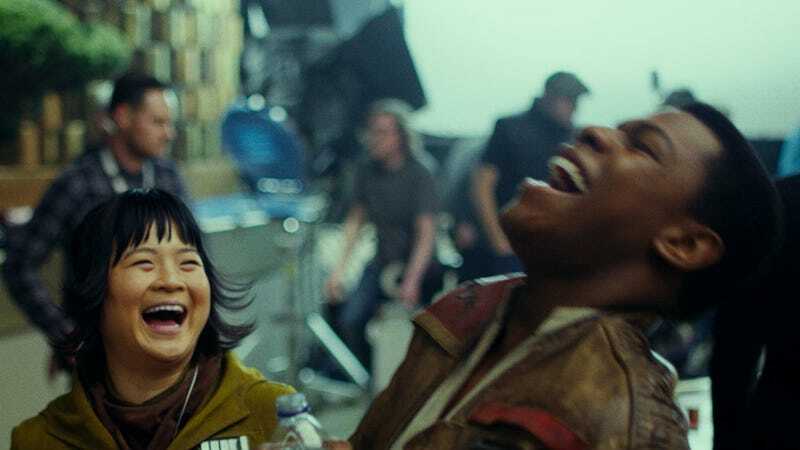 But the movies, TV shows, books, and other creations have a long, important history of memorable humor and Rian Johnson thinks it’s a vital part of the franchise. ...there’s a lot of just oddness in the film, and there’s a lot of humor in the movie. I mean, we have jokes. We have flat-out jokes in the film. [Laughs] We have funny creatures. I think the part of the fan base that’s closer to my age, you tend to start thinking of what you’d want in a Star Wars movie in terms of the opera of it, and the seriousness of it. That’s a big and important element of it and I think we definitely served that in this movie, but it’s important to then remember, you know, Salacious Crumb [Laughs], and it’s important to remember the other side of these movies, which is fun. As seen in neo-noir mystery Brick and time-travel flick Looper, Johnson’s oeuvre has been great about mixing comedy into high-stakes drama. And for those who think the Star Wars films shouldn’t include humor, Johnson recalled that particularly entertaining scene from The Empire Strikes Back “where Yoda is just messing with” Luke. Some levity is a good thing, especially when the fate of the galaxy is involved. We're Fine Here, Thank You. How Are You?